I suppose I knew this when I was in elementary school. I always looked forward to doing anything creative in class, whether we were cutting up construction paper to make posters or decorating shoe boxes for Valentine’s Day. I started taking art classes in 7th grade and that is when I realized I liked to draw and paint. My position is Senior Creative Developer. After receiving a BFA from art school with an illustration/graphic design degree, I got a job doing “paste up” and simple brochure designs as an in-house freelancer. A year later I was hired full time by the same company to do illustration and computer cell animation. I eventually gravitated to design and building web sites using “Flash” software, which led me to my current position with American Greetings. I concept, design and animate digital greetings for both the American Greetings and Blue Mountain brands. Collaborating with writers, artists and musicians is my favorite part of creating an ecard. When I team up with another artist, I typically create the art for the setting or scene while the other artist animates a main character. I enjoy working in Photoshop and Painter to do photo illustration and manipulation along with Flash and After Effects to animate the art. It is fun to experiment with the combination of art and movement. The outcome is always something surprising and rewarding. 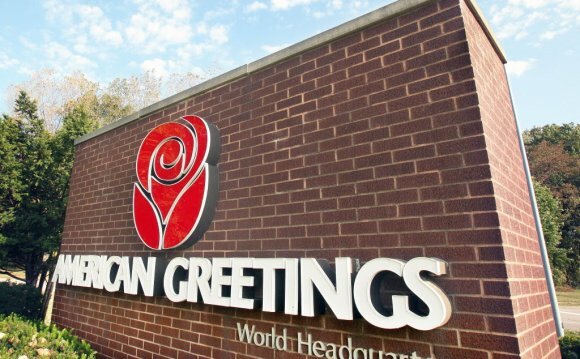 The card shown below is a great example of how well our collaboration process works at American Greetings.